This book has been on my radar for many, many years. I have no idea why it took me so long to get around to reading it...but anyway, I'm glad the day finally came! Laura Berton is the mother of Pierre Berton, Canadian historian with a knack for making history into an enjoyable and accessible narrative. 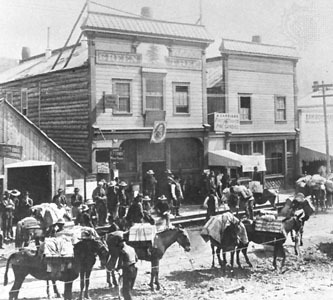 This book is simply about her time living in Dawson City in the Klondike in the years of the Gold Rush and following. 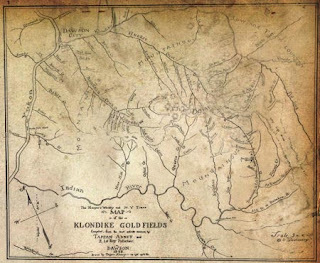 She spent almost three decades in the north at the end of the 1800s and early 1900s. This is a short book and an easy read. I thoroughly enjoyed it. It took me to a time and place I had only heard random and broken pieces about. 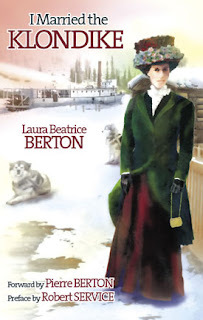 Laura Berton's writing has a way of taking you right into the midst of the events of the day, simple events like baking bread in the north, location specific events like the breaking of the ice of the Klondike River each May, terrible events like the death of friends and acquaintances, and the rise and fall of a era. I felt transported to the time and place with each chapter. There is no real plot to the novel, just the meandering story of life at the time. It seemed like a great adventure and entirely normal all at once. The author repeatedly explores the harshness and isolation of the north, bringing the idea to reality with true stories of people and places. This book appealed to my Canadian-ness. I felt connected to this story, even though I had never been to the north and was nowhere near born at time of the Gold Rush. I liked this novel because it was simple and direct. It had no hidden messages. It spoke about true events and historical moments, many of which I had learned about in my childhood. It very plainly said, this is how it was, this was our life. It was a refreshing change from some of the other novels I had dabbled in recently, some unsuccessfully. I would strongly recommend this novel. Laura Thompson was born and raised in Toronto, Ontario. She worked as a teacher in Toronto until she as 29, at which point she took a job teaching Kindergarten in Dawson City in 1907. 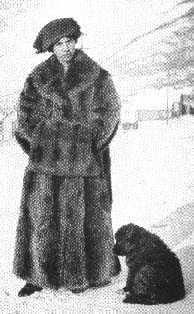 She remained in the Klondike until moving with her husband and two children to Victoria, BC in 1932. I Married the Klondike was written and published late in Laura Berton's life in 1967. For further information on Laura Berton, you'll have to read the novel! 1. I like that it is a simple and direct account of life in the north at the star of the 20th century. 2. I enjoyed the historical references and information, especially on the writing of The Cremation of Sam Magee. It gave the book a familiar feeling. 3. The book talks about the happy and sad, the good and bad of living in the north. I appreciated the truthfulness and honesty with which the author wrote. I loved this book. The descriptions were vivid. The times and places were fascinationg. The book could easily have been twice as long - there were so many interesting things that were only touched on.